All eyes will be on Tesla’s pace toward profitability on Wednesday, August 1 when the Silicon Valley company, led by CEO Elon Musk, releases its second quarter financial results after the closing bell. 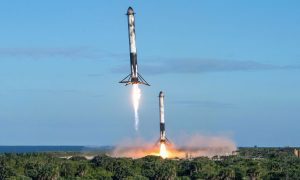 With the electric car maker meeting Musk’s self-imposed Model 3 weekly production target for the second quarter practically by the skin of its teeth, there is a good chance that Q2’s financial results will trigger even more volatility in Tesla’s stock (NASDAQ:TSLA). Here then, is a preview of what we can expect for Tesla’s Q2 2018 financial report and earnings call. 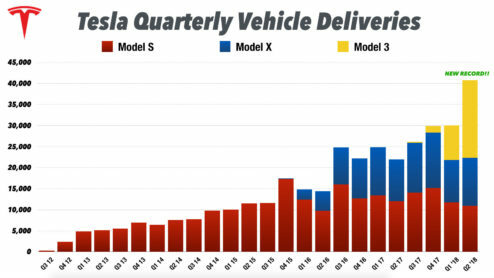 Tesla revealed Q2 deliveries totaling 40,740 vehicles, of which 18,440 were Model 3, 10,930 were Model S, and 11,370 were Model X when it released its production and delivery report earlier this month. Based on the company’s figures, the second quarter results are set to highlight the record deliveries for the Model 3, 10,000 more units compared to Q1. Charts displaying these could be viewed below, courtesy of Galileo Russell of YouTube’s HyperChange TV. Tesla posted revenue of $2.56B in Q1 for vehicle sales, including 8,182 Model 3s that were delivered to customers during the three-month period. Assuming that the additional 10,000 Model 3 delivered in Q2 averaged $55,000 per unit, Tesla could post an additional ~$550 million in earnings from the electric car. Revenue from Tesla’s vehicle leasing business likely remained flat considering that the lending option is not available yet for the Model 3. Service revenue could see a spike in Q2, however, as a result of more Model 3 vehicles being on the road. 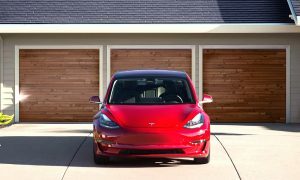 Tesla focused largely on the Model 3 ramp during Q2 2018, with the company pulling out all stops to hit its milestone of producing 5,000 Model 3 per week by the end of June. 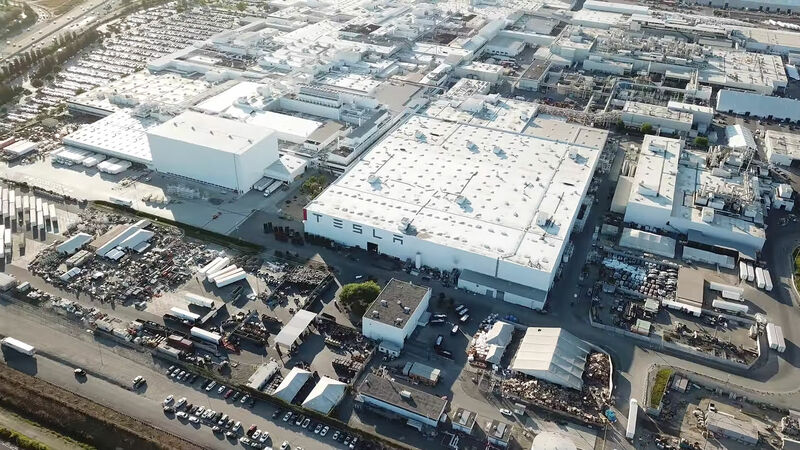 In order to achieve its target production rate, Tesla adopted unorthodox measures such as air-freighting robots and equipment from Europe and setting up an entirely new Model 3 assembly line on the grounds of the Fremont factory. These strategies likely resulted in additional expenses for the company in the second quarter. 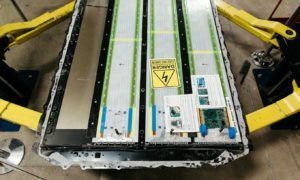 With the Model 3 ramp as a priority, Tesla’s other sources of income, such as its battery storage and solar business likely remained flat compared to Q1 as a result. 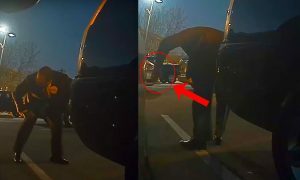 The company’s operational expenditure would likely see a slight bump in the second quarter due to the 9% layoffs that Tesla implemented to organize its workforce, considering that the restructuring included severance pay packages to employees who were terminated. In a video outlining his expectations for Tesla’s Q2 2018 results, the HyperChange TV host noted that he believes Tesla would post an estimated $4B in revenue with losses in the ~$500 million range. That’s a 43% increase in revenue compared to Q2 2017, when Tesla posted earnings of $2.8B, but also double the losses of the company’s losses in 2017’s second quarter. Overall, Tesla’s Q2 2018 quarter financial results would likely feature similarities with Q1, in the way that the company would show strong growth but post substantial losses and negative cash flow. 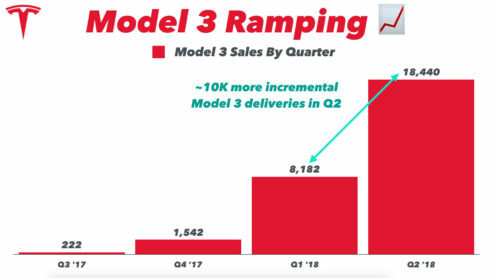 Nevertheless, it is pertinent to note that while Q2 2018’s numbers could be discouraging, the quarter could be seen as a turning point for Tesla, especially with regards to its Model 3 ramp. 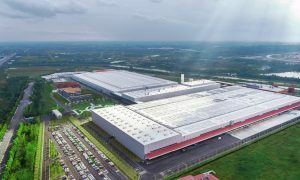 The past quarters, Q2 2018 included, have been focused on bringing the vehicle’s manufacturing up to 5,000 per week, resulting in the company investing heavily in resources to help scale the vehicle’s production. With the 5,000/week milestone attained and with Tesla now more focused on sustaining its Model 3 production rate, Q3 2018 would most likely feature a pathway to profitability in the form of more encouraging financials than the second quarter. Provided that Tesla adopts a deliberate, realistic plan for the further ramp of the Model 3, the next few quarters could very well prove to be profitable. Watch Galileo Russell’s take on Tesla’s Q2 2018 financial results in the video below.